Stormwater is simply water from precipitation (rainfall or snowmelt) that flows across land. Stormwater may infiltrate into soil eventually to be used by plants and trees, it may flow directly into streams, lakes, or drainage systems, or it may evaporate back into the atmosphere. In the natural environment, most precipitation is absorbed by trees and plants or infiltrates into the ground, which results in stable stream flows and good water quality. What happens when land is changed from forest and fields to roads and buildings? As the land surface is changed, rain that falls on a roof, driveway, patio or lawn runs off the surface more rapidly. This stormwater flows into drainage ways and eventually can end up in streams and waterways. 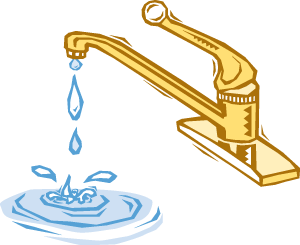 In some cases it can pick up pollutants as it flows causing the potential for changes in surface water quality or groundwater quality. Flooding. As stormwater runs off roofs, driveways and lawns, large volumes can quickly reach streams causing them to rise quickly and flood, instead of a natural slow and steady water rise. 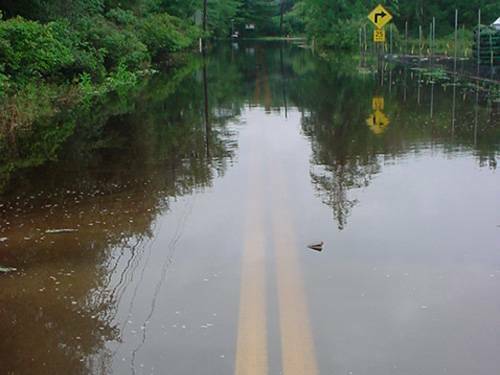 When more impervious surfaces exist, flooding occurs more rapidly and can be more severe, resulting in damage to property. Pollution. Stormwater running over roofs, driveways, roads and lawns will pick up pollutants such as oil, fertilizers, pesticides, dirt/sediment, trash, and animal waste. These pollutants can flow over the land in the stormwater to streams and waterways. Stream Bank Erosion. 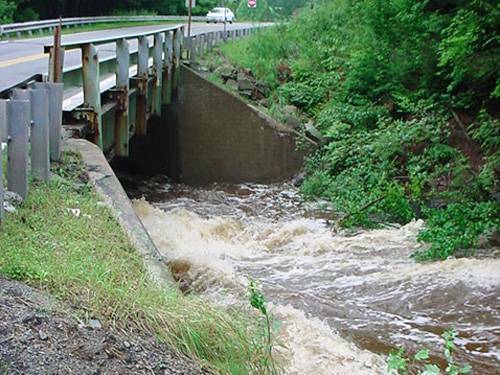 When stormwater flows into streams at unnaturally high volumes and speeds, the power of these flows can cause stream bank erosion. 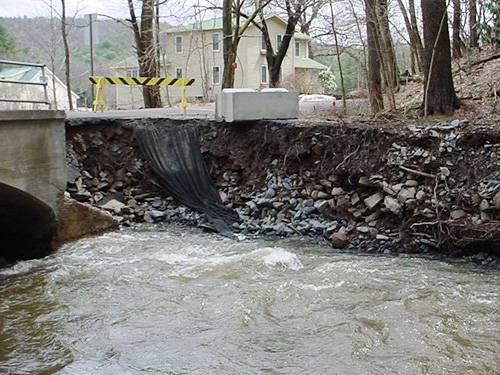 Eroding banks can eat away at streamside property, create dangerous situations, and damage natural habitat for fish and other aquatic life. This erosion is a source of sediment pollution in streams. Conflict between Neighbors. Stormwater unmanaged when new roofs and driveways are built have the potential of causing increased stormwater runoff onto adjoining properties causing conflicts for neighbors. 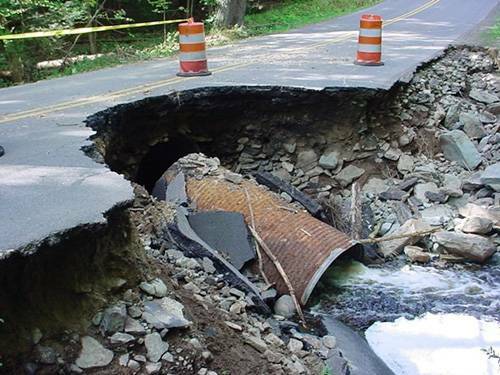 Who is responsible for managing Stormwater? Everyone plays a role in helping to properly manage stormwater. Find out what you can do to help! Managing stormwater on your property, where it begins, can go a long way to protecting streams and waterways and reducing potential property value losses and conflicts with neighbors. 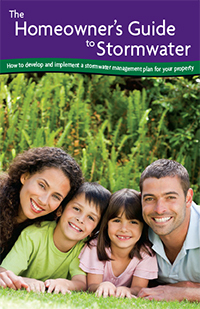 This Guide will help you assess stormwater on your property, develop and implement your stormwater management plan, as well as providing healthy lawn care practices.